This next week sees the arrival of the Amusement Expo 2014 trade show in Las Vegas, NV. 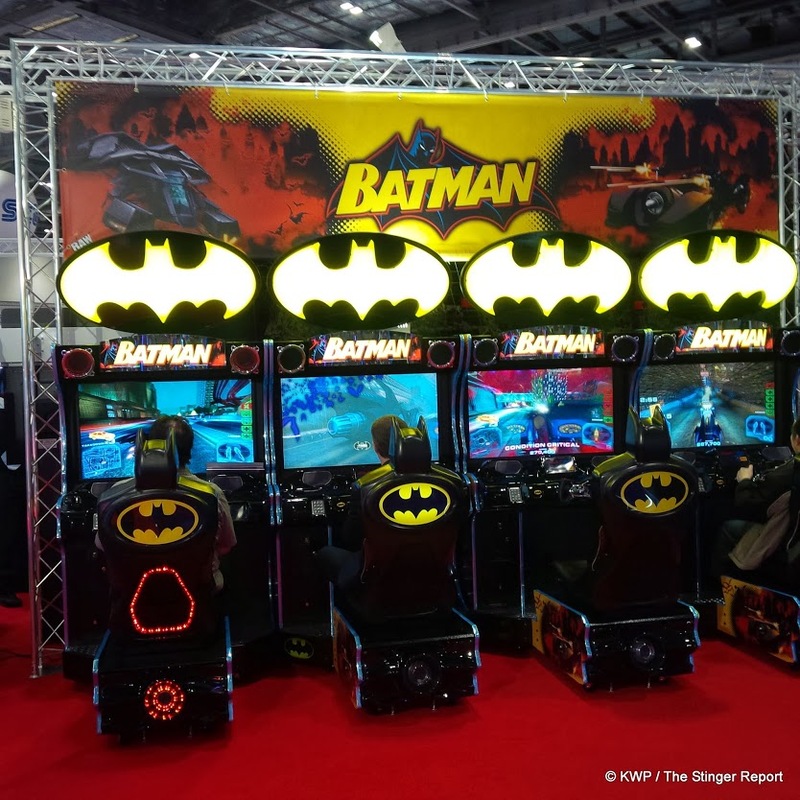 While in some instances it will be a repeat of the IAAPA 2013 show, there will be some products there making an appearance for the first time. This event is also happening while two other related trade shows will be taking place in Vegas – the International Pizza Expo and the Nightclub and Bar Show. 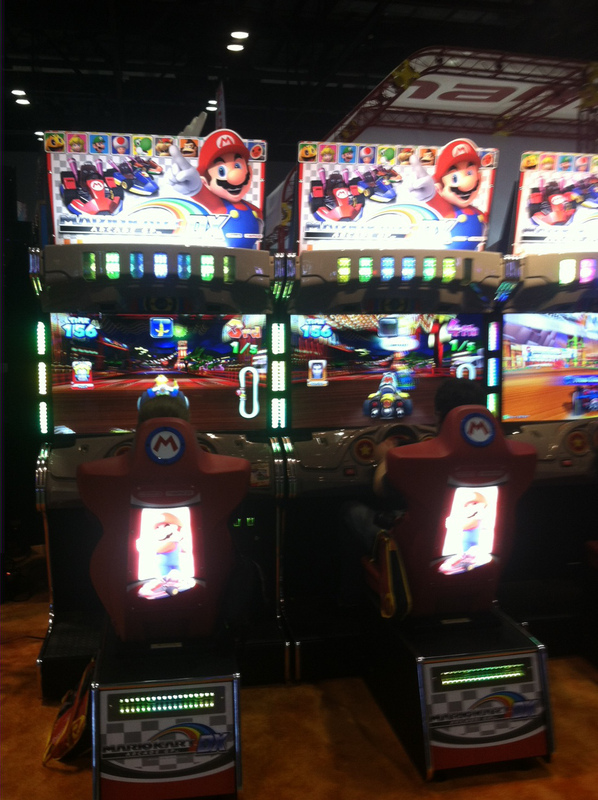 Adrenaline Amusements – Located at booth 643. 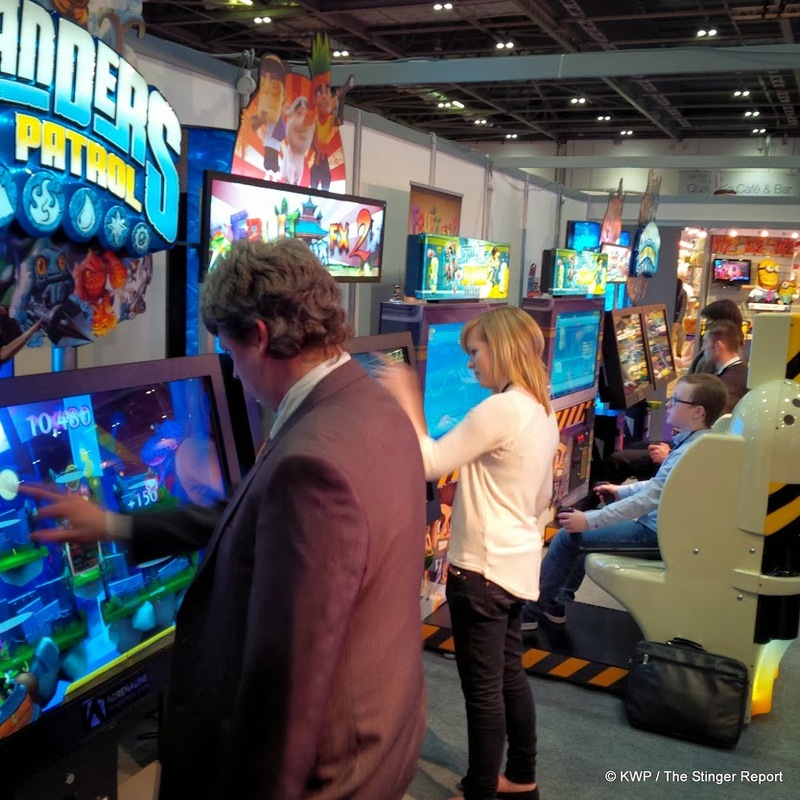 Their EAG booth was very similar to the IAAPA booth, showcasing titles like Fruit Ninja FX 2, Skylanders Cloud Patrol, Jetpack Joyride Arcade and Monster Factory. I haven’t heard anything new since so this will probably be a similar setup. 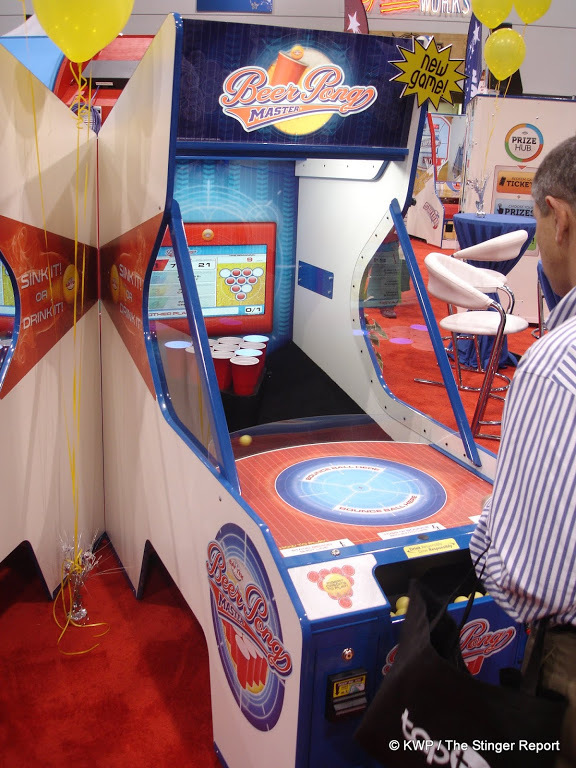 Andamiro USA – Located at booth 305. from a release they sent out, the line-up looks the same as IAAPA with some Pump It Up cabinets and a focus on their new kids rhythm game Hit The Beat and a strong focus on their merchandiser products. Arachnid – Located at booth 214. While they primarily focus on darts, they do have a video arcade game by the name of DiscGlo Shuffle that will certainly be there. Bandai Namco – Located at booth 127. I’ve not seen a press release yet but it will be similar to IAAPA from the info I have gathered. I imagine there will be a little more focus on Mario Kart Arcade GP DX this time around since that is launching next month. It also will have Mach Storm, Super Alpine Racer and the new Deadstorm Pirates Special Edition. Probably won’t have Wangan Midnight Maximum Tune 4 or 5 but instead parts of the booth dedicated to their redemption lines. Last year they did have one surprise with unannounced Pac-Man Ticket Mania (renamed to Chomp Mania), so it should be easy to catch anything else along those lines. Barron Games / InJoy Motion – Located at booth 204. 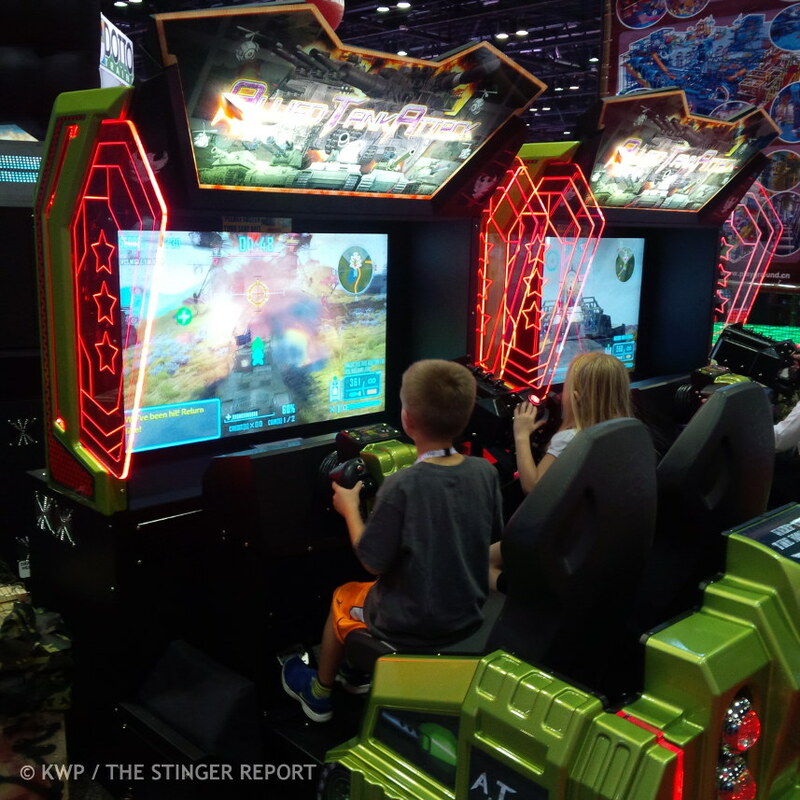 Also similar to IAAPA from what I have seen, they will have InJoy Motion’s Allied Tank Attack units available to play, in addition to their air hockey and redemption content. BayTek Games – Located at booth 709. They generally don’t deal with video only stuff, last year their Beer Pong Master game was close however as it did have a video screen. Otherwise should feature their latest redemption items. Coastal Amusements – Located at booth 415. Not sure if they have anything new planned for the show, so focus should be similar to IAAPA with videmption/video arcade content of Rail rush, Temple Run and Sea Wolf 55 on hand. Coast-To-Coast Entertainment – Located at booth 1143. Will showcase ReRave Plus once again along with some of their newer merchandiser products. 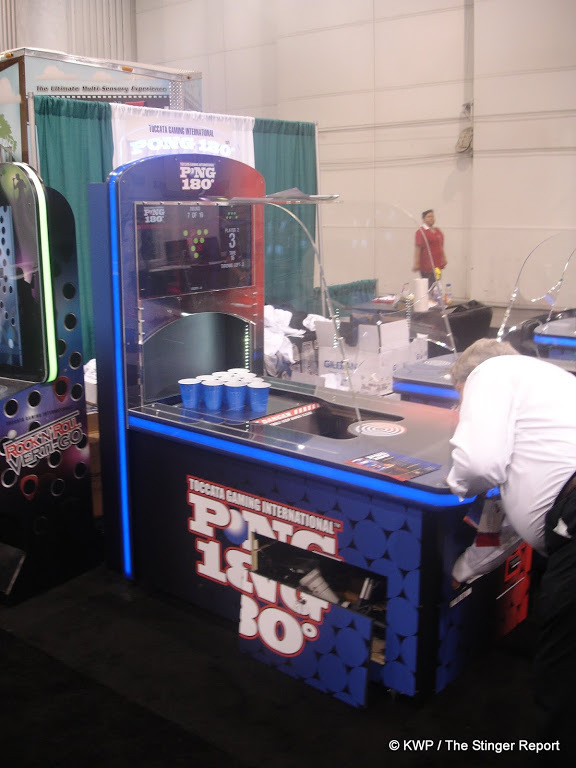 ICE Games – Located at booth 105. While the main focus of ICE is redemption, they do occasionally pick up a new video-only product, such as Panic Museum. They are supposed to be handling IGS’ Overtake for North America so good chance that this could be there; I imagine other videmption product like Doodle Jump and Harpoon Lagoon will be on hand. Incredible Technologies – Located at booth 627. 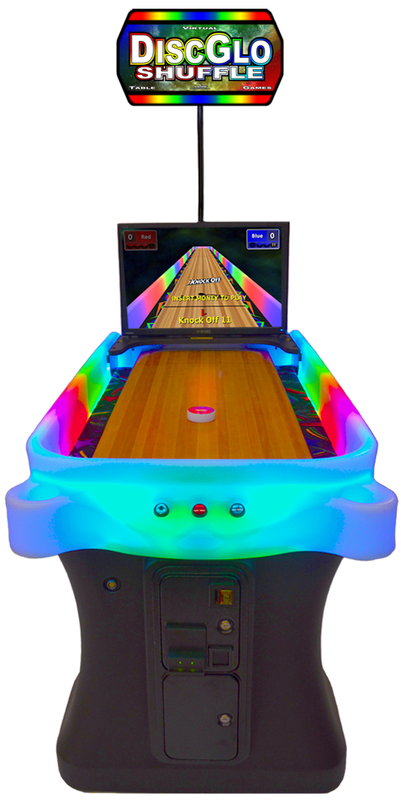 We haven’t heard anything new from IT since they launched the newest version of Golden Tee last year, no word if they have a new Silver Strike Bowling, Power Putt or something entirely new in the works. 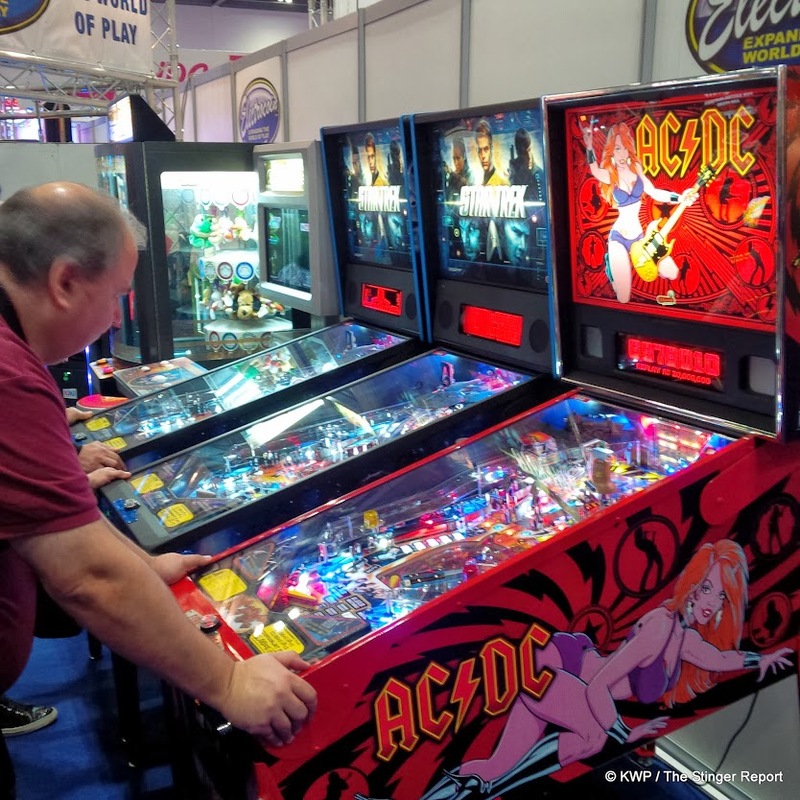 Jersey Jack Pinball – They are going to be in Vegas but NOT at Amusement Expo – they are instead going to the adjacent Nightclub and Bar Show with a couple of WOZ machines. Kalkomat – Located at booth 1005. They mainly focus on coin-op sports products like boxers and air hockey but often have something a little different to find there. Here’s a video from last year’s Amusement Expo of Kevin Williams and I having a go at their Speedball game that was introduced at the show. LAI Games – Located at booth 243. They also focus mostly on redemption/merchandisers but they have been branching into some videmption product like Pinata. Raw Thrills – Appearing at the Betson booth, 215. I haven’t heard from RT about their plans so we can assume it will showcase Batman and Aliens Armageddon, both of which are out now. RT usually has something new for US trade shows but if there is something planned, they have been very quiet about it so far. There have been rumors out there that RT has been testing some sort of “jungle” or dinosaur based light-gun game for some time now but I’ve seen no evidence to back any of that up for the moment. Sega Amusements – Located at Booth 315. From the looks of it, this is going to be the same content-wise as IAAPA, except that the Plants Vs. Zombies The Last Stand videmption game that will be on hand is the production ready version. Titles will also include Transformers Human Alliance, Storm Rider and Storm Racer G among video content and some other redemption titles. 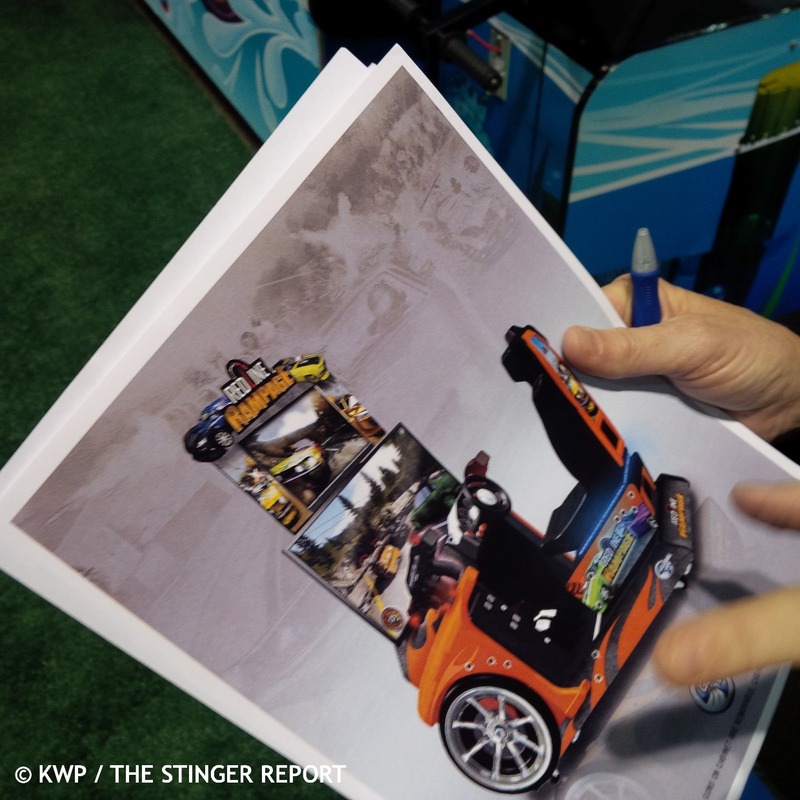 Stern Pinball – Located at booth 209. I imagine the main focus this time will be the brand new Mustang Pinball with a couple of others that have been out for a little while like Star Trek or Metallica. Would be interesting to see one of the LE models there. Toccata Gaming International – Located at booth 1009. They skipped IAAPA but will be at AE. 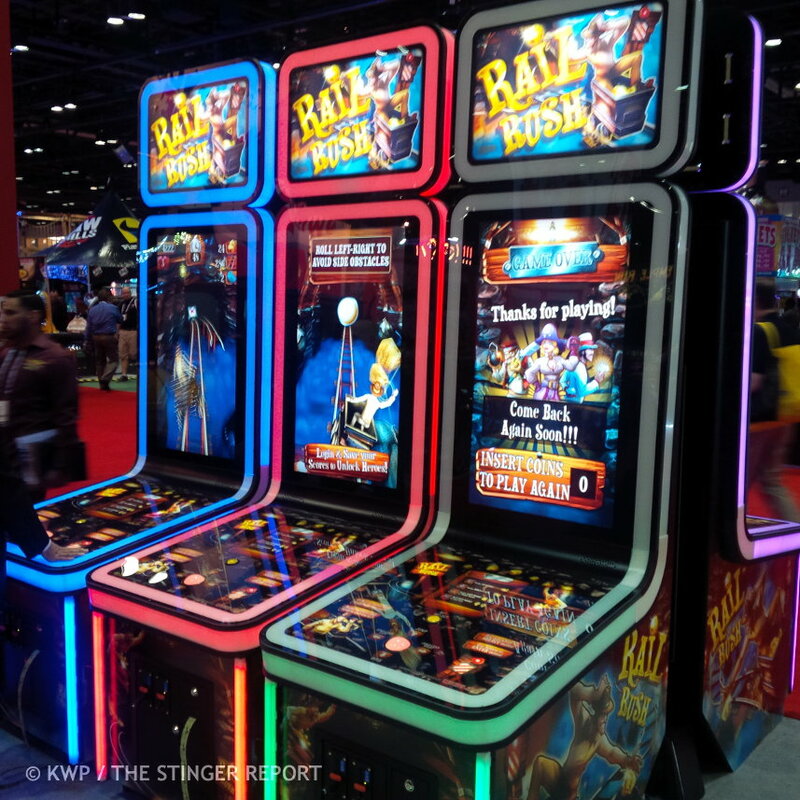 Last year they had a strong focus on their Pong 180 video beer pong games that had been introduced at IAAPA12, they also introduced Rock ‘N Roll Vertigo which was a video arcade version of the old Ice Cold Beer concept. Not sure what they might have in store for the show this time around. Unit-E Technologies – Located at booth 1108. 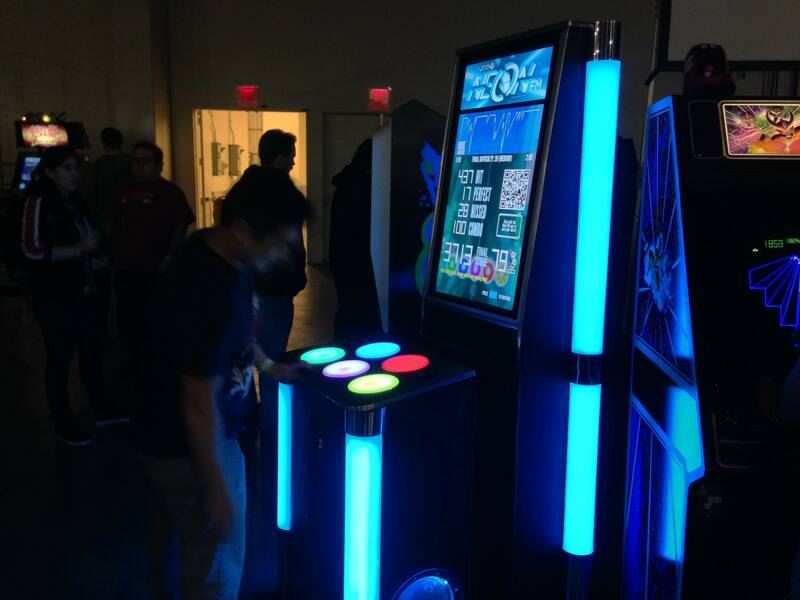 This is the first (AFAIK) amusement industry trade show that the company will attend, showcasing their new rhythm arcade game product, NEON FM. Operators can order units direct from the show at a special price. Universal Space (UNIS) – Located at booth 809. Also looks like it will be similar to IAAPA with the exception of a new basketball machine they will have on hand. Videmption games like Frost Island, Pirate’s Hook and their series of 47″ upright games will be there. Not sure if their video-only product, Crazy Speed 2 will be there or not. 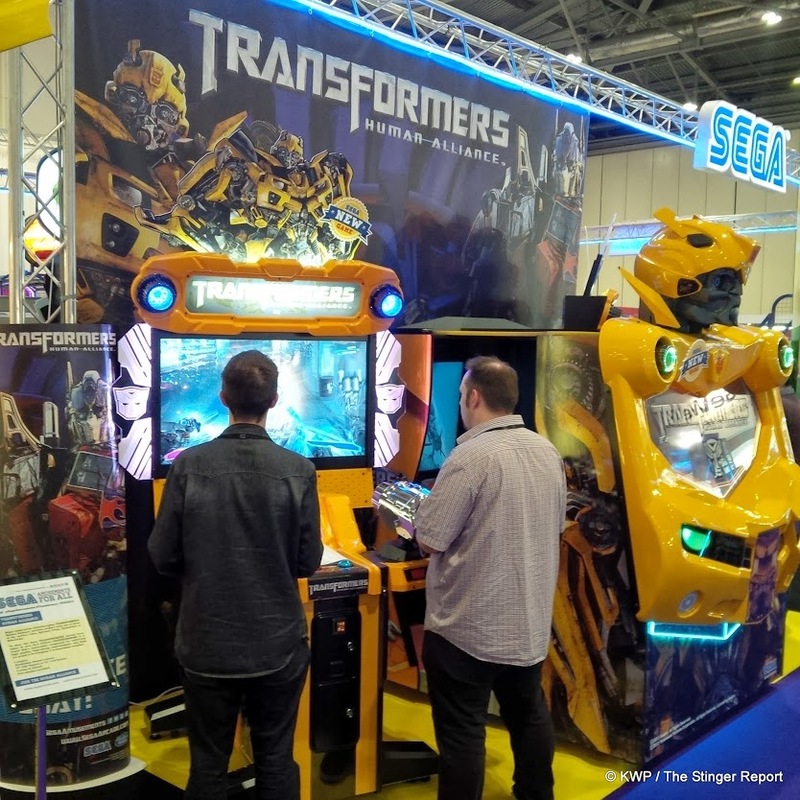 GlobalVR – They didn’t really have a booth to speak of at IAAPA, joining up with a small distributor to show The Swarm. As of the exhibitor list published on 3.6.14 – they are not listed. It could be that they are joining up with someone else again or not attending. 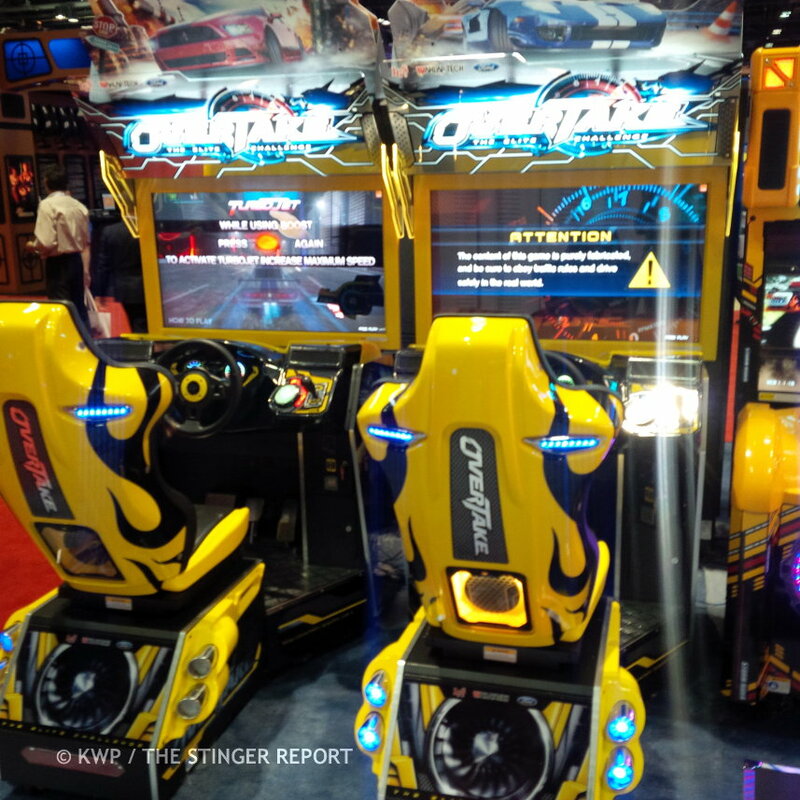 I’ve been trying to get more info on their new Redline Rampage combat racing game since January but no luck so far. If they aren’t there to launch the Redline game then the question is begging to be asked whether they are going to remain in business any longer. They launched The Swarm in 2012 and have had no new products since. Jersey Jack Pinball is also missing from the list. They had a small booth at Amusement Expo last year, not sure if they are combining with someone else or not attending. So not sure what the story is here. Fun Company used to attend, while they focus on manufacturing they have appeared showing some indie titles like Worlds’ Fastest Drummer. There are a couple of other companies on the list that I am not familiar with like Banilla Games so I’ll have to see if they have anything arcade related or not to talk about. Speculation – It’s always hard to guess at what might show up out of the blue. It seems likely that some new videmption product will show up as it has done so often. It seems like there has always been something new in the realm of Pac-Man to make an appearance over the past few years but I’m not sure what else they can add at the moment (foosball maybe?). 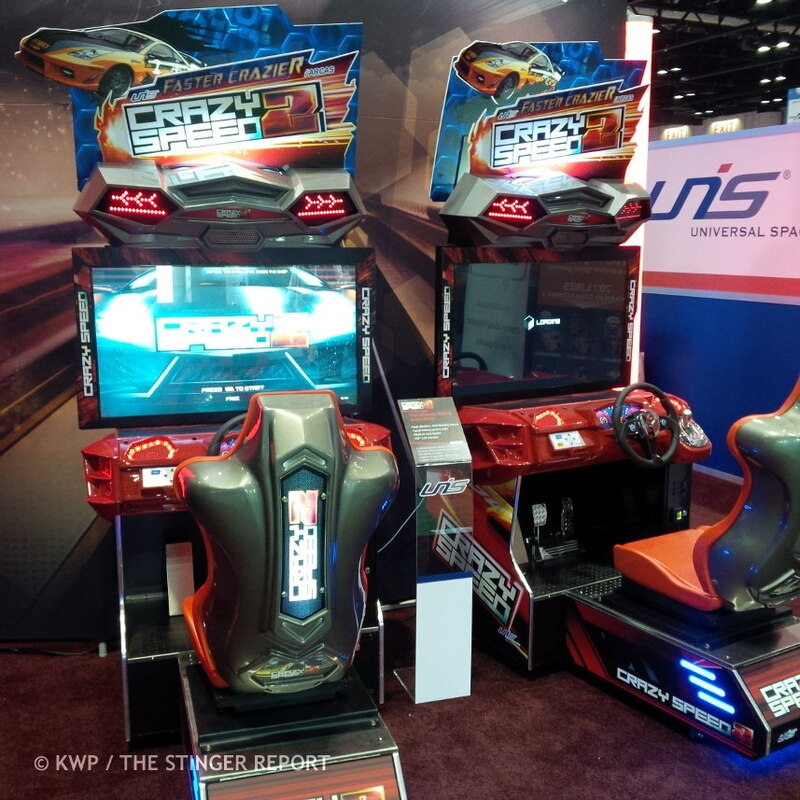 Last year some prototype/unreleased/limited release items also made an appearance – Cars Arcade (Raw Thrills) and K.O. 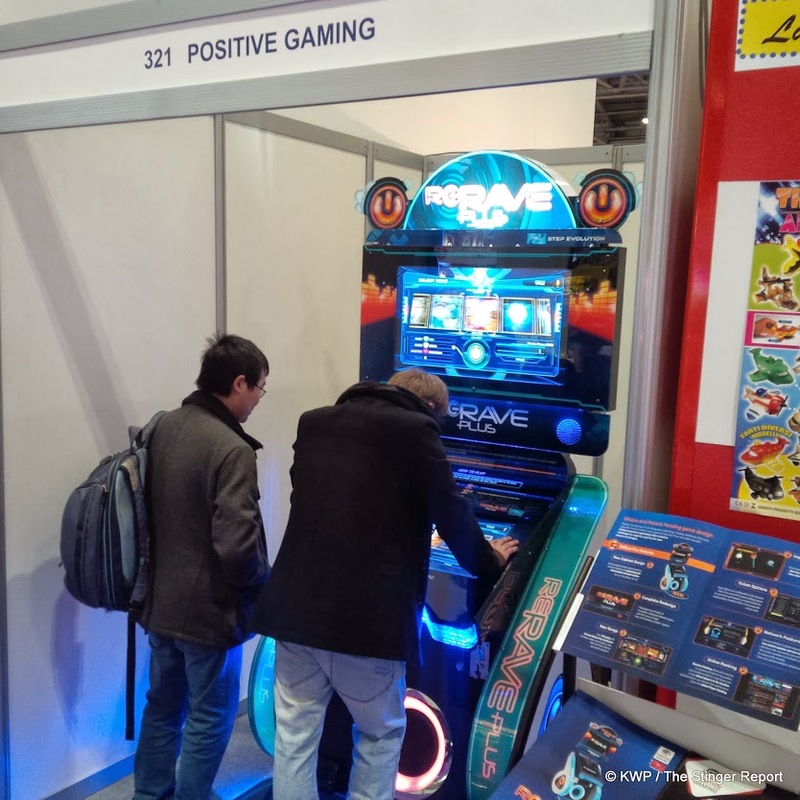 Drive (Sega) as some examples but it seems that there is always something that comes to major trade show and afterwards gets the axe. I also recall an overhead boxing game showing up at an AE a few years ago that I never saw or heard about again. As such there aren’t any prototypes I’m aware of that would make the cut – maybe an indie related game like Killer Queen. Wanted to get Flytrap out to this show but don’t have the cash and am waiting on some software problems to get fixed for the Android version. Converting to Android has unleashed some annoying issues but ultimately it will be nice to get a machine released that’s priced similar to 80’s and 90’s prices.